It is the second time that we have attended this great event in Palma and it is gaining prominence as the brokerage show for large sailing and motor yachts in the Mediterranean. Held over the first May Bank Holiday, the fleet is quite unique in that the split between power and sail is approximately 50/50. It was yet again, a showing of all the significant brokerage yachts available for sale on this side of water and a real must attend event for serious buyers and sellers alike. Berthon were showing 2 great listings with our colleagues and joint central agents Bluewater. She is the newest of the sisterhood in brokerage captivity and in immaculate condition in all respects. She was a busy yacht throughout the Show, the 90’ is a staggeringly beautiful yacht and she is perfect for both cruising and for the regatta circuit too. An epic Simon Rogers designed rocket ship with sweeping flush decks that go on forever, stunning livery and an interior that is imaginative and perfect for family sailing. 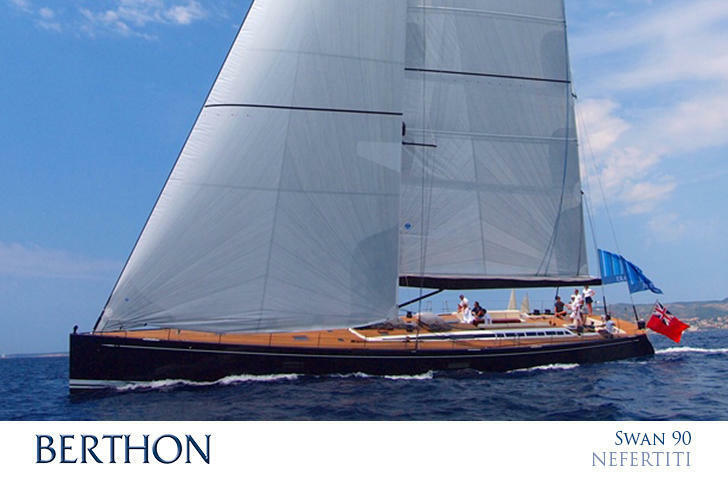 The nub of this particular yacht is not the good looks, great finish from a Shipyard just a hop and skip from our Newport, Rhode Island office, or great deck layout – it is the fact that she is ferociously quick. It was a busy few days! Sunny in this photo, but it did not last long; nonetheless it certainly was busy…. On display we had the Windy 39 Camira and the Draco 27RS. The Windy desk is uber busy with 25 yachts deliver into our territory. 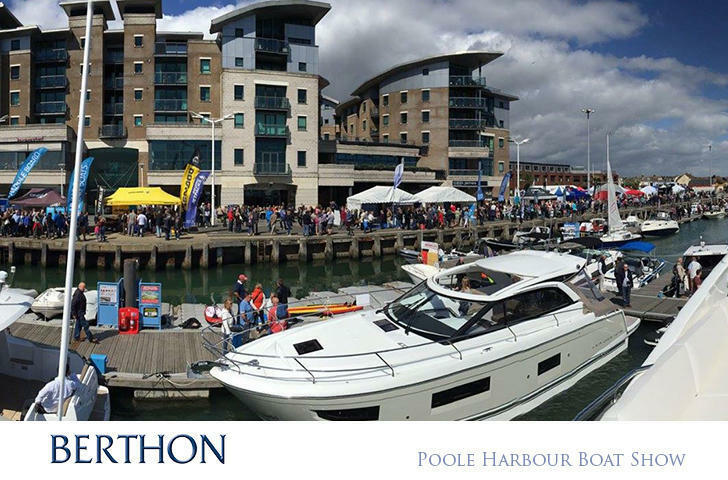 Breezy and bright with lots to see, the Poole Boat Show is a great mid-season new yacht event and we are always pleased to support this show. 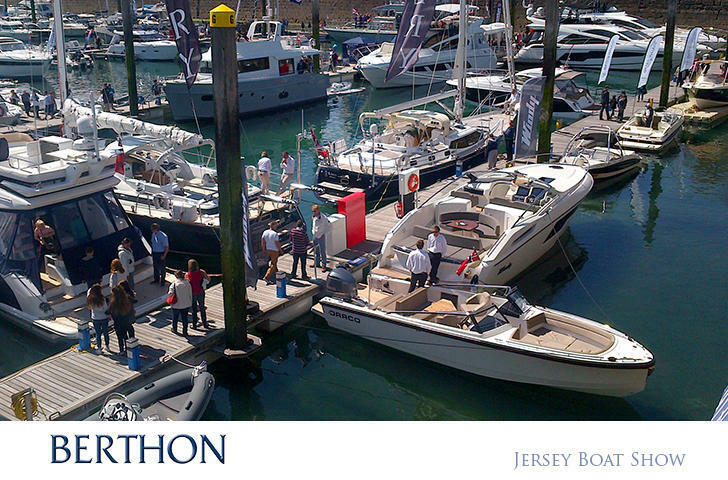 The Windy team at these 2 events were Ben Toogood, UK Windy Sales Manager; Tom Wright, Berthon Refit with responsibility for Windy after sales service; Hugh Rayner, Berthon Motor Yacht Broker; and Cameron McKeon, Berthon Trainee Motor Yacht Broker.